Posted September 23, 2013, in News. 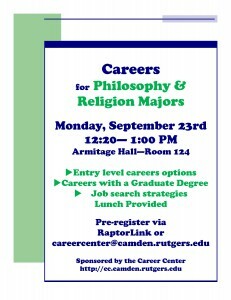 On Monday, September 23rd the Office of Academic Advising will co-sponsor an event for students majoring in Philosophy and Religion to provide ideas and resources regarding post-graduate career strategies and options. Please join us from 12:10-1:20 PM in Armitage Hall, Room 124 for this session. Lunch provided. Page last updated by Department of Philosophy and Religion at 12:16 pm March 18, 2014 . 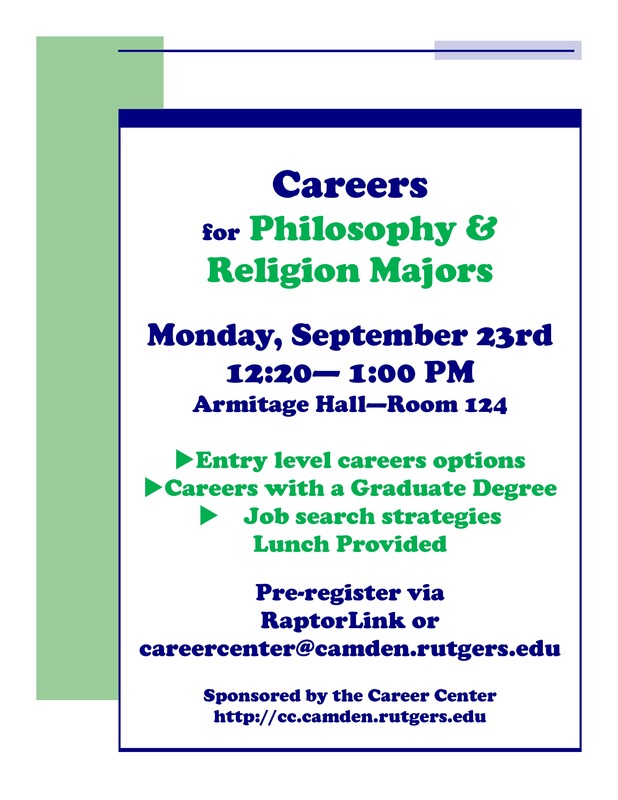 This page was printed from http://philosophyandreligion.camden.rutgers.edu/2013/09/23/careers-for-philosophy-religion-majors/ at 3:41 PM Friday, April 26, 2019.